Our certified technicians cover California from Santa Barbara to the Oregon border, and Nevada as well. They are dispatched with an extensive parts inventory and a full complement of specialized tools. In addition, we offer 24 hr dispatch for emergency equipment repair. One of our most valuable offerings is our Preventive Maintenance Contracts. These contracts provide timely routine service for your equipment, reducing your down time and ensuring your equipment meets manufacturer’s maintenance specifications. Our Service Coordinator works with your team to schedule service calls at a time convenient for your team and caseload. Technician-provided documentation is in compliance with TJC/JCAHO. Whether your facility is large, small, or somewhere in between, you’ll always get our award-winning service. 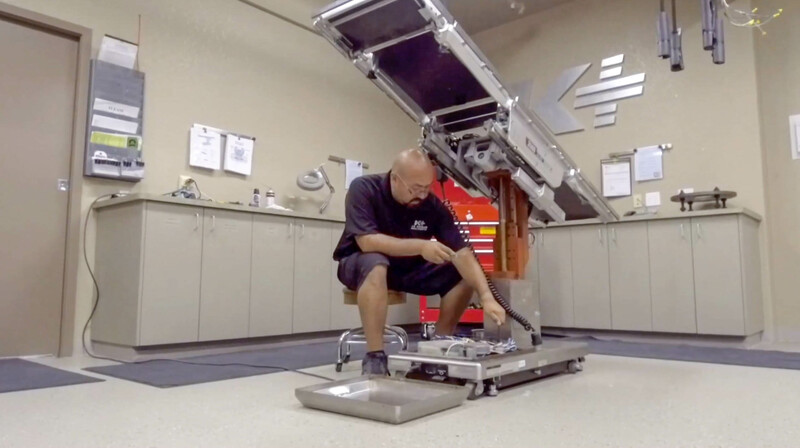 Keckler’s Service Team keeps your facility’s equipment functioning at its very best.